Lab assistant and avid climber Amber Wilson is no stranger to risk. But she feels invisible around her handsome boss, Mark, until she accidentally doses him with an irresistible aphrodisiac that leaves him with a suicidal hangover. Abruptly fired, Amber and Mark partner up to research the source of the drug—a rare New Zealand mushroom—in hopes of refining it for safe use. On their way to New Zealand to collect fungi samples, Amber is blindsided by a deep and intense romantic connection with Mark. Their new business plan is endangered by ruthless Maori mobsters who control a mushroom scheme they’re killing to protect. As the body count rises, Amber struggles to salvage her and Mark’s dreams, but when she risks her heart and acts alone, both of them could end up paying the ultimate price. 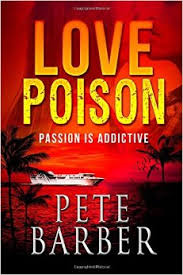 Love Poison by Pete Barber is a 2014 independent publication. The first thing I have to say is that while this book is a thriller/mystery novel with a slight science fiction tone.. the question I really have is … Who ever said a man can't write romance? This book has a dose of everything. I was not sure at first where all this would end up but I can tell you it was a really fun, imaginative and unique novel. Amber Wilson has a slight accident while at a company gathering and ends up damaging a specimen of fungi – mushrooms. What happens next will blow you away. It would seem these 'shrooms have a side effect that could make them incredibly valuable. But, it could also cause a great deal of trouble, which is how Amber and her boss Mark wind up unemployed. Amber, Mark, and Amber's good friend Maude, decide to start their own company, believing they are the only ones who know about the rare New Zealand fungi and it's special properties. So, they travel to New Zealand to collect more specimens, intending to refine the side effects for safer usage. Once Amber and Mark begin working together they find they enjoy each others company and a romance develops between them. However, they may never get the chance to live out their happy ever when they stumble across the knowledge they aren't the only ones who know about the fungi and it's rather potent and unique side effect. This shocking discovery will put the couple in grave danger. Check out Pete's debut novel and 2013 Indie Book Awards Finalist--NANOSTRIKE. I was born into a blue-collar family in Liverpool, England--missed The Beatles but did go to The Cavern a few times. After immigrating to the US in the early 90s, I became a citizen. Burned out from twenty years in the corporate madhouse, I escaped to Lake Lure, North Carolina where I live with a couple llamas, two spoiled dogs, a brace of cookie-eating goats, numerous chickens, one ferocious cat, and a wonderful wife who thankfully understands my obsessive need to write fiction. Nice review of a great novel. Woot! Woot! I agree with Julie's fab review. Love Poison is a page turner. 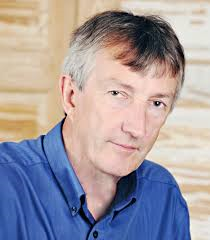 Congrats Pete Barber. Thanks for stopping by everyone!! If you haven't read Love Poison yet, be sure to add it to your TBR!! Good luck with the book, Pete! Thanks for letting me read and review it for you. Another great review for Pete's latest gem. I'm so glad this book is on my TBR list!! !